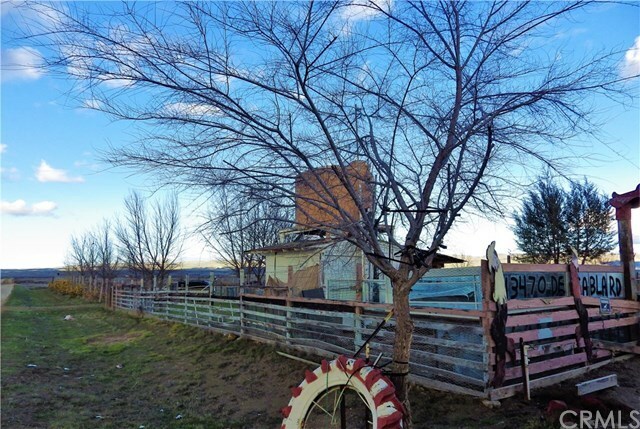 Come take a look at this 5 acre homestead in California Valley. 2 separate lots (each 2.5 acres) connected and bordered by Del Ray on one side and De Sabla on the other. Multiple out buildings, a carport, mobile home, separated animal fencing and 2 functioning wells! With a little love and effort this property can be brought back to its full potential and become a great family ranch or homestead. Talk to your realtor about setting up a time to see this property and California Valley.